For some reason, Brooklyn is a popular name for little girls. It used to be fairly simple to select a proper noun for an infant. One approach was to name it for a member of the family, such as its father or a rich aunt. The other was to call it John or Mary. According to the U.S. Social Security Administration website, the name Mary was either 1st or 2nd in popularity for girl babies from 1880 to 1965. John was in the top 5 for boys every year through 1972. It should be noted that these are names as they appeared on Social Security card applications, so someone whose name is spelled Jon is not included with the Johns. Those old standbys have lost some of their luster — Mary was 109th in 2010, for instance — but Biblical names in general remain popular. David was 18th back in 1880 and 15th in 2010. Adam and Jesus have been in the top hundred for several decades. Judas, however, has never cracked the top 1,000. Why some names suddenly become popular can be a mystery. 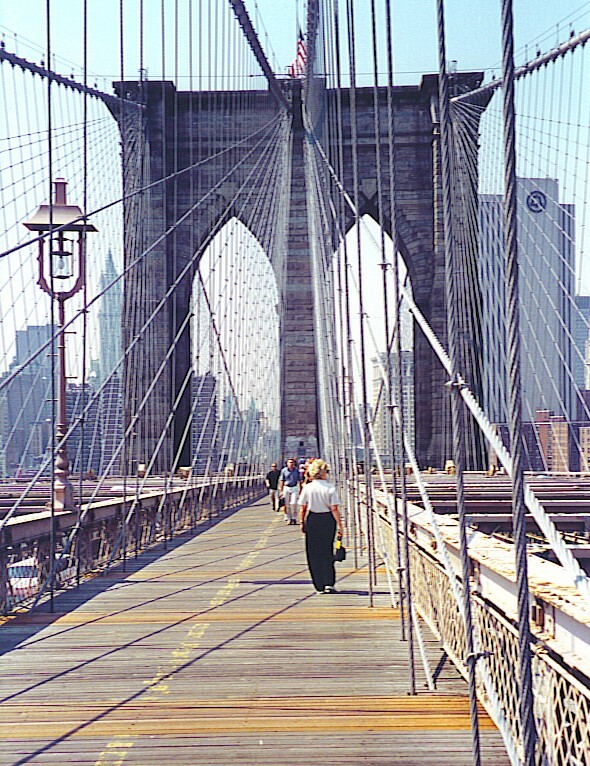 The girl’s name Brooklyn made its first appearance on the list in 1990, at 912th. Why? Last year it was all the way up to 34th, but none of the other boroughs of New York City have been widely used by new parents thus far. Could 2011 be the year when hospital nurseries are full of infants named The Bronx? • The first year the name Dustin appeared in the top 1,000 was 1968 (#368). The film The Graduate, starring newcomer Dustin Hoffman, was released in 1967. • Hardly anyone was naming their child for Japanese beef until Kobe Bryant came along. His rookie season in the National Basketball Association was 1996-97; in 1997 the name Kobe had gone from nowhere to #553. It has been on the list ever since. • Several decades ago a baby girl would only occasionally get named Mariah; it first appeared in the top 1,000 list in 1973 at #914. Mariah suddenly vaulted to 69th in 1991. Some of us suspect that the release of Mariah Carey’s first album in 1990 may have been the reason. As alluded to earlier, the most popular female name over the past 131 years is Mary, but it finished 12 spots behind Mariah in 2010. The most popular male name since 1880 is Michael, which has the virtue of being a Biblical name (the archangel) and a basketball superstar (Michael Jordan). Of course, there are many charming names that aren’t necessarily among the most popular. My advice to prospective parents is to be a little careful with those “creative” names, though. I once knew a woman whose mom and dad had unwittingly given her a name that sounded OK in English, but was a notorious slang term in Spanish. Let’s face it — no one wants their daughter to be know as “streetwalker” in any language. This entry was posted in Language and Literature and tagged popular baby names. Bookmark the permalink. Today I came across the name of a basketball player who has committed to St. John’s University next season. His name is God’s Gift Achiuwa. All I can say is, if you meet someone who introduces himself as “God’s Gift”, consider yourself warned. I am the mother of a Jennifer (#1) and a Brian (#8). Though their names may be common, they are very special people… not only to me, but to others. Maybe they had to work a little harder to emerge from the pack, but they both did that very well.